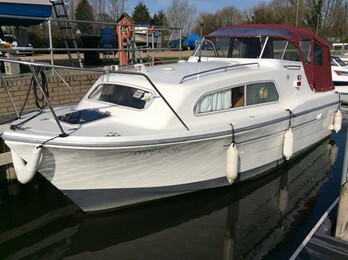 Viking 24 Widebeam, "Reel Escape"
The Viking 24 is a very popular river cruiser which is stylish to look at and offers generous family accommodation. This a one owner craft. 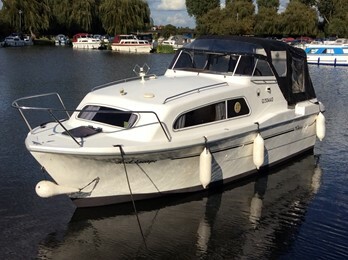 This modern design wide beam cruiser has an elavated cockpit position for good vision .the 4 berth cabin offers 2 v berths to rounded forward seating area and a transverse quarter berth under the cockpit. The boats are well equipped with hot water,showers and fridges.